See today's Bowness homes for sale & Northwest Calgary real estate listings below. If you're looking for a home in a great Calgary community, take a look at the properties available in Bowness. First founded in 1911, Bowness was an independent town until it joined Calgary in 1964. 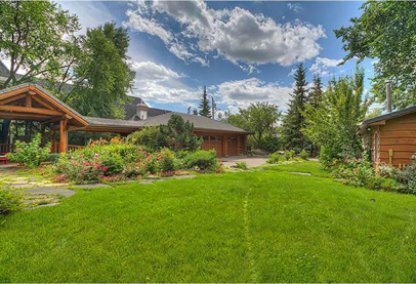 For information about Bowness neighborhood properties for sale or to schedule a private home showing, contact your Bowness Calgary real estate experts today. 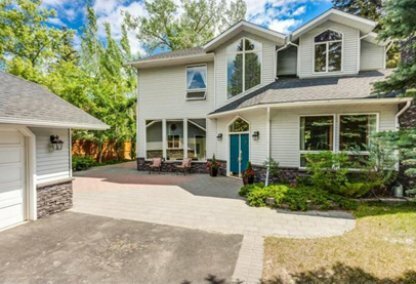 Bowness housing market statistics: As of April 20, 2019 there are currently 82 properties for sale in Bowness listed as active, with an average asking price of $611,091. The highest-priced property is $2,195,000; the lowest priced property can be purchased for $174,500. Bowness neighbourhood listings have an average price of $ per square foot, based on listings with 3.7 bedrooms, 2.6 baths, and 1,540 square feet of living space. Looking to sell or buy a home in Bowness? Call Justin Havre at RE/MAX First, your neighborhood Bowness real estate team at 403.217.0003. We are Bowness real estate agents and experts on the Calgary Bowness housing market. Bowness is home to Calgary's beloved Bowness Park, where picnic tables, fire pits, bikeways, footpaths, and green space offer a wide range of recreational opportunities for residents of all ages. There are also a number of quality public and private schools in the area, and Market Mall offers shopping convenience. You'll find a wide range of homes on the Bowness real estate market, from heritage Craftsman homes built in the first half of the century, to modern executive homes. You'll also find high-rise condos in Bowness, as well as semi-detached homes, townhouses, and cute starter homes. The Bowness community is bounded by the Bow River to the north and east, 16 Avenue (Trans Canada Highway) to the south, and Stoney Trail to the west. The Trans Canada Highway is the way to go if you're in search of a mountain retreat. Bowness offers its own community association, which sponsors many activities throughout the year including a Harvest Fair, Christmas Craft Fair and Christmas dinner. The Bowness Community Association is also currently organizing a farmer’s market. Families also benefit from fantastic schools in the area, both public and private. Thinking of buying or selling a home in Bowness? Let our local real estate agents help guide you through the purchase of your next home, or to expertly negotiate the sale of your current home. As local Bowness real estate agents, we're experts on the market dynamics unique to Bowness real estate. We'll get to work for you today! Contact Justin Havre at RE/MAX First to learn more about buyer or seller representation. Planning to sell your Bowness home? Check out our free home evaluation, where you can instantly price your Calgary home online in minutes!